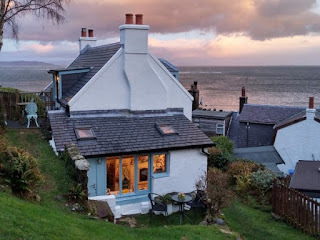 Rockview Cottage offers homely accommodation on the spectacular Isle of Arran. This detached island property can be found in the quiet, conservation village of Corrie on the east coast. 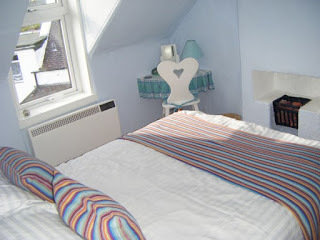 The house enjoys an elevated position with tremendous views & is a lovely destination for couples, families and friends. Outside is a lovely hillside garden with two loungers and a bench with views across the Clyde. There is a sun terrace off the kitchen plus a rear deck with stunning views across the Isle of Bute, a sloping lawn and a secluded upper garden with firepit. 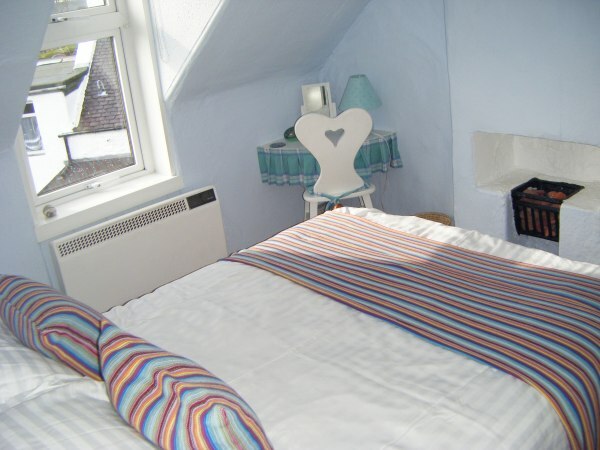 The cottage is pet-friendly and can welcome one or two dogs. For anyone looking to enjoy some of the finest and most interesting natural beauty in Scotland, this cottage is ideal. Situated only moments from the small harbour, a short walk to a popular local pub and a short drive from the main port of Brodick, Rockview makes an ideal base for exploring the delights of Corrie and the rest of Arran.